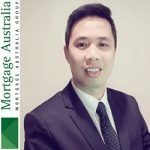 Hello, I’m Jacky Nguyen, your local Mortgage Broker in Canberra. Meet me at your home or in my office at Level 4, 15 Moore Street, City ACT 2601. Call me on 0452 207 736. I would just like to compliment Jacky Nguyen. He has been most professional and gone to great support to assist me for the Home Loan. He always pick up my call even very late night at midnight. Thank you for all your help. Your service is excellent. Jacky Nguyen is very helpful and supportive. Even I ring at 11 pm, he still answer and support me very well. Jacky did a fantastic job to help me sort out our financial issues so we can purchase our first home. Definitely recommended and will work with him again for next houses! Impeccable broking service! Jacky has put a lot of effort in assisting us with our loan application, which was successful despite time constraints. Thorough communication and quick actions are what we appreciate most over all the good experience. Would definitely recommend Jackyâs service to those in need! Wouldn't recommend enough for the most enthusiastic and knowledgeable broker I've ever had! Thanks Jacky for helping us to get the loan so quickly with a remarkable amount that before we never think of! A very enthusiastic broker. Although we were not qualified for loan, Jacky still spent time listening to our scenario and provided me with easy to understand advices and the steps needed to improve our financial situation. We contacted Jacky after being rejected by a bank because of my husband employment. Jacky helped us to get the loan approval with a suitable bank and the best deal available on the market. He helped us to deal with complicated paper work which we don't know where to start. Highly recommend his excellent service to anyone!!! Jacky has provided an excellent service. Always able to help and provide assistance when we need it. It was very easy to book an appointment with Jacky. He made sure that the meeting times were the best for us and at our earliest convenience. He revised offers frequently and made relevant comparisons to ensure that we had the best deals in the market. Jacky is very helpful and responsibility. His service is excellent. Jacky is a dedicated mortage broker who shows passion in what he is doing. He is very flexible in making appointment and answer all questions in no time. We got our approval less than a week from him. Would highly recommend his service to anyone I know. I have Cert IV in Mortgage Broking, MBA and Master of Professional Accounting from University of Canberra. I am an Authorised Credit Representative of the Mortgage Australia Group. You can rest easy knowing that I am a part of the country’s largest broking company, which happens to organise 1 in every 10 home loans nationwide, every month. Experience the convenience of state-of-the-art technology, capable of objectively comparing 1,350 of the latest financial products. Covering over 31 lenders, including the Big 4 Banks. I have lived in Ngunnawal, Canberra since 2011 so you can rest assured you will be dealing with someone who is fully committed to our local community and the surrounding area. Professional Indemnity Insurance against any claims up to $20,000,000. When you need a mortgage broker in Ngunnawal, Casey and Palmerston, Canberra or anywhere nearby, using a mortgage broker such as myself will reduce the time, energy and frustration spent searching for home finance. With thousands of loan options, finding the right loan can be an overwhelming task for many mortgage borrowers. I will work hard to save your valuable time and take the stress out of your next home loan application. By utilising your local mortgage broker’s knowledge and experience, you can ensure the loan that you settle on will not only provide you with the funds you need, but will also fit your lifestyle perfectly. Everyone is different and this holds true when it comes to obtaining finance. If you’re in the market for a mortgage broker in or around Ngunnawal, Casey and Palmerston, Canberra who can help with a traditional home purchase, or you’re seeking a professional to assist you with a specialised loan: I can help. As a local Mortgage Australia Broker, maintaining a great reputation in my home area of Ngunnawal, Casey and Palmerston, Canberra is crucial to the continued success of my business and my standing in the community. If you are looking for a mortgage broker in Ngunnawal, Casey and Palmerston, Canberra or nearby, call me today or send me a message via the form on the right of your screen so I can help you to find the financial solution for your needs. 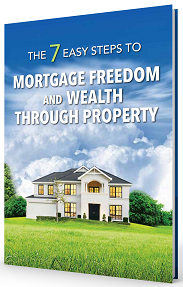 Revealed by a mortgage industry insider who did it in just 7 years!